Fight dandruff and stimulate hair growth with Alcepin Double Effect and Caffeine Shampoo Duo. 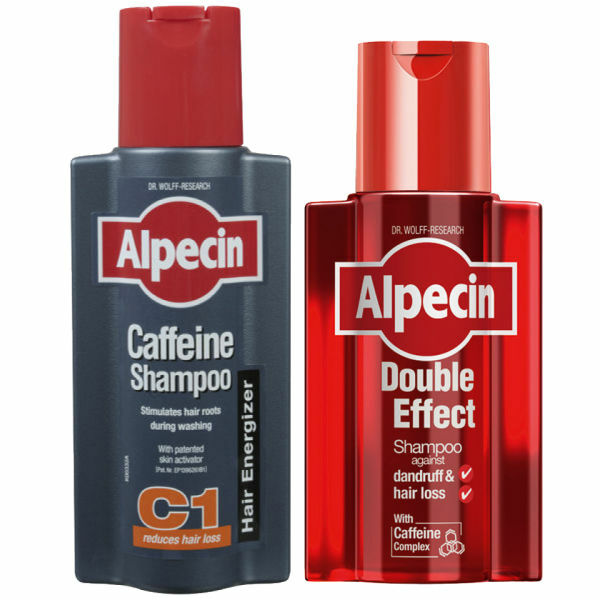 This duo contains two of Alpecin's best selling shampoos. - N.P. Reduce and prevent dandruff with the Alpecin Double Effect shampoo, made with a unique and effective caffeine-rich formula which provides instant, noticeable results. It works to loosen and remove dandruff whilst enriching the hair from the roots, leaving your scalp feeling soothed and refreshed. Containing salicylic acid and piroctone olamine, two highly effective anti-dandruff ingredients, this shampoo is a must have.